The software resembles current “face-to-face” bedwetting treatment. We identified and gathered every possible scenario that we might face during our current treatment process and every possible profile of bedwetting patients (by age, bedwetting frequency, day control, and more). We developed numerous sophisticated and complicated algorithms. By using those algorithms, we are able to give a response similar to the one we give in our clinic. The response is even more detailed than in the clinic. The communication platform is established by using the virtual chart. 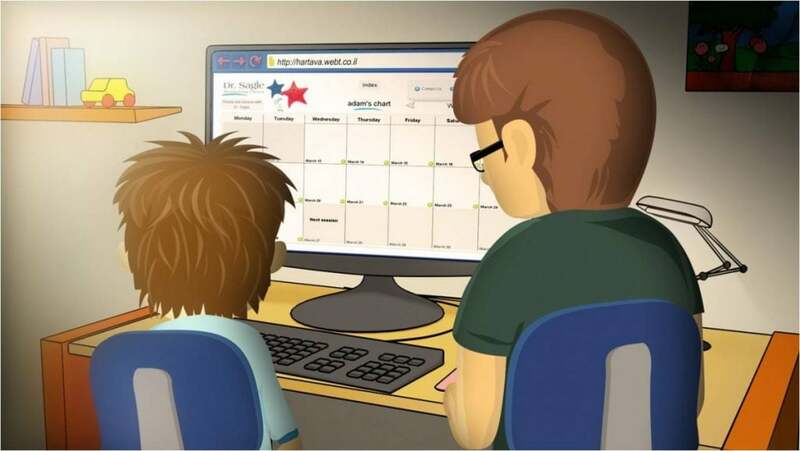 Parents supply information regarding the treatment on a virtual chart. The system analyzes the provided data, and the algorithm chooses the right response. The response is given to the patient by a video clip or a sequence of video clips. In those clips, the “virtual therapist” will address patients and their parents and give them feedback concerning their progress. Immediate reinforcements will be given, assignments will be demonstrated, and statistics will be presented.